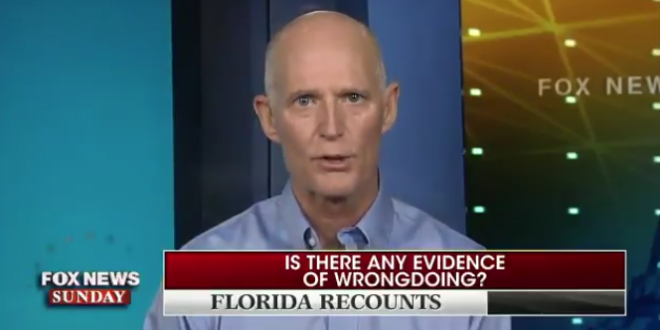 Scott: Bill Nelson Is Committing Voter Fraud [VIDEO] - Joe.My.God. “That’s all this is,” Scott said on “Fox News Sunday.” “His lawyer said that a noncitizen should vote. That’s one,” Scott explained.